Largest Association of Clinical Researchers Elects John Neal as 2019 Chairman. With a Focus on Education and Sponsor Involvement, Neal Aims to Accelerate Clinical Research. ARLINGTON, VA – Everyday, thousands of people die waiting for new drugs or therapies to reach the market because of drug and therapy study delays. It also costs pharmaceutical companies almost $3 million each day a drug or therapy isn’t on the market. With the skyrocketing costs of healthcare, the Association of Clinical Research Professionals, or ACRP, is at the forefront of increasing the efficiency and lowering the cost of clinical trials. PCRS Network™, a leading independent clinical research site network, is proud to announce that John Neal, Founder and Chairman, has been elected 2019 ACRP Chairman. In his role as Chairman, Neal plans to focus on improving the quality and efficiency of conducting clinical research via ACRP’s training and certification programs. It is critical that ACRP continues its initiatives to help clinical research staff and Principal Investigators working with Sponsors, CROs, and Sites to make clinical trials safer and deliver data faster. 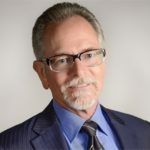 John Neal is a recognized thought leader and visionary in clinical research and served as ACRP’s Vice-Chair in 2018. Neal is a frequent speaker at industry conferences and prolific writer, known for his well-researched papers, including his popular “Change is in the Air” series he presented at the ACRP Conference in 2016 and his blog Neal on Research. In addition to an exclusive network of clinical research sites, PCRS Network provides Study and Site feasibility services to Sponsors and CROs, as well as business development, contract and budget negotiation, and accounts receivable management services to its clinical research Member Sites. John Neal is a proud alumnus of San Diego State University where he graduated with honors. Based in Arlington, VA, ACRP is a 13,000 member non-profit organization that sets the standard for clinical trial education and training. With certification, education, and training initiatives, ACRP and all of its members, are focused on making clinical trials more efficient and cost effective, and, ultimately, saving more lives. ACRP’s annual conference takes place in Nashville, TN from April 12-15, 2019. PCRS Network, LLC is a leading independent site network whose site membership is made up of top performing Sites who are capable of performing Phase I, II, III, and IV sites studies and are strategically located throughout the U.S. The combination of high-quality, high-enrollment, and increased efficiencies make for a winning combination for sponsors, CROs, and Sites for study opportunities in pharmaceuticals, medical devices, and nutraceuticals. Sponsors need to accelerate the clinical research phase of new drugs and medical device development processes in order to reduce the time required to complete clinical research and get drugs, therapies, and devices to market, quicker, thereby improving the quality of many people’s lives. PCRS Network simplifies the process for sponsors and CROs by providing access to its network of member sites who meet the highest standards of quality and productivity. They centralize the contract and budget negotiation process and deliver the fastest average time to complete negotiations in the industry. PCRS Network affords Clinical Research Sites the opportunity to profitably grow their study pipeline by associating as peers with other high performing clinical research Member sites and thought leaders across the US. Members are accepted into PCRS Network though a qualification process designed to ensure that only high-quality, high-performing sites become members, providing assurance to sponsors and CROs that PCRS Network Members are top enrollers and meet the highest standards in the industry.